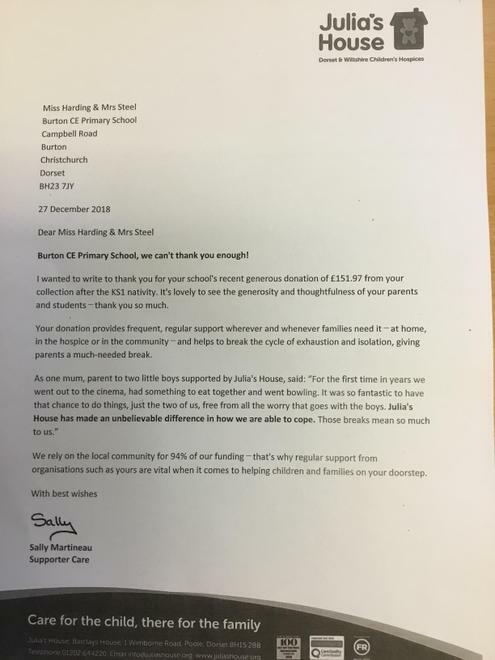 Our pupil governors chose Julia's House as their charity choice for this term. Parents were asked to give a donation at the end of the KS1 Nativity performances if they could. Thanks to the kind donations £151.97 was raised. Well done to our Pupil Governors and thank you if you donated. Please read the letter attached from Julia's House, who received our recent donation.